Blessed, Bold and Always Blossoming! As a woman who is bold yet always blossoming, I believe it is important to be surrounded by like-minded women. Women’s groups provide a support system and an avenue for you to learn and help others as well. It helps me open my eyes to see that I Am Not Alone! There are two women’s groups that I am involved in and would love to invite as many women as possible! Both groups have been extremely instrumental in my growth. All of the women are of different ages, some are married, some are single, some are mothers but we are all women who are pursuing God one day at a time. We use our gatherings as opportunities to grow, share testimonies, bond as girlfriends and stay connected with God. When I moved to the Maryland/DC area, I desired to meet a group of women who wanted to get together and talk/do life together as we grow in Christ. After prayer and stepping out of my comfort zone, I started meeting some amazing women. Each month, I host a small group where we meet in one of our homes to share our experiences as women growing in and trusting Christ. Our first GirlTalk was held in February of 2016 and God has evolved this group so much since then. We now also host community service initiatives like preparing and passing out care packages to the homeless in DC with The SOCKS Movement, prayer nights, book club and more. If you would like to join us on this journey and learn more information, please email godlygirlspray@gmail.com. 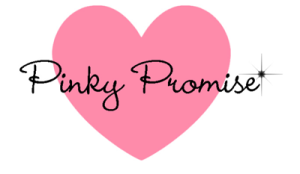 Heather Lindsey founded Pinky Promise on January 27, 2012. It was birthed from her struggle when she was single and frustrated, because she placed her value and worth in men and unhealthy relationships.